If you have been a faithful reader you would have seen my post about a week ago where I exposed the true me; a filthy, unorganized, paper stacker that is completely unrelated to my "neat as pin" family (I might have been adopted). 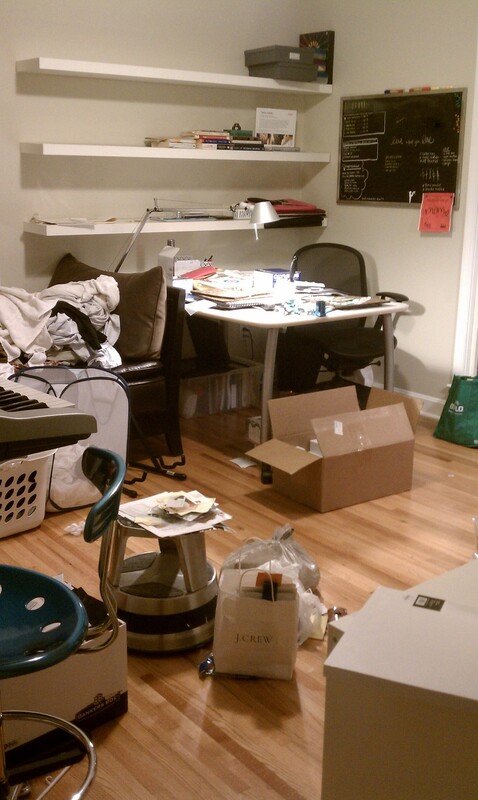 I exposed the dirtiness that is the true me in an effort to hold myself accountable to cleaning and organizing my studio. No one seemed to notice that I never posted a follow up pic of the clean studio, thanks for hold me accountable guys! No thanks to you, I did manage to get things tidied up and I feel pretty good about it. to the left, my wall decal calendar from Pottery Barn Teen, I love it even though by the looks of things I have nothing going on in November- what a relief. To the right, an awesome gift I got from my mom:). This cool metal cable hangs from the ceiling and comes with a set of super strong little magnets to hold whatever papers you need it to. 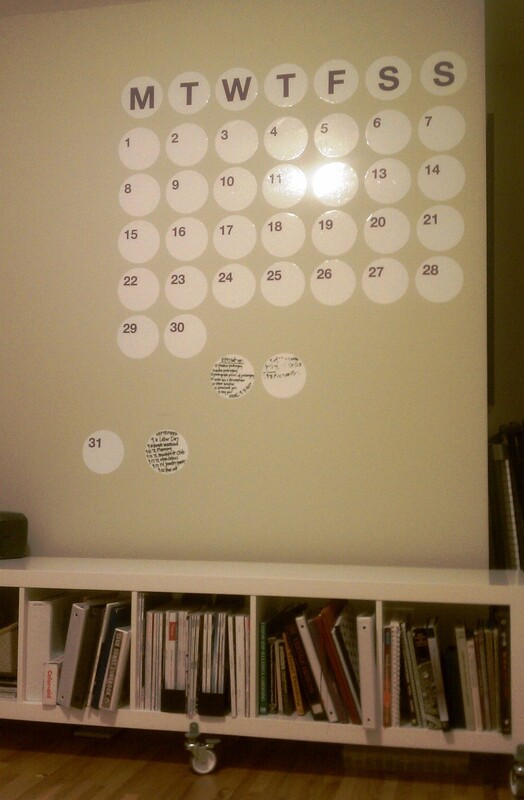 I love it because my desk faces out into the room and I have no way to pin something up in front of me so I can see it while sitting at my desk- this does the trick and is a great alternative to a bulletin board- thanks mom! Yes, I do feel so much better that things are nice and clean and organized!